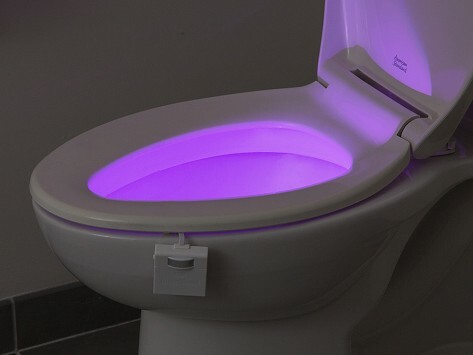 This night light works so well that we bought a second one for the other Bathroom. We had to adjust 'where' on the bowl we hung the unit as the water when flushed would hit the light and splash out on the seat. But that was because of the style of our bowl. Once we moved it around a bit, we got the light out of the range of the flush water and all was good. It helps at night when someone gets up. 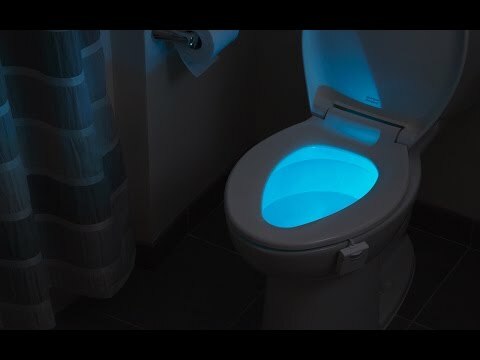 It gives enough light that you can move around the bath with out turning on additional lights. Very handy to have and just plain FUN. Yes, I’m loving this. It’s fun and serves a purpose.. I had a little problem getting the color right.i wanted blue and it was stuck on red. I emailed the guys and they said to take the batteries out and clean the connections.. it worked! Glad I purchased it! I really like it. it's great in the middle of the night. Just enough light to see without being woken completely up. Love the colors to coordinate with the seasons or holidays. It's great in the middle of the night, you don't have to turn on lights and blind yourself!